Aimersoft Video Editor is a simple video editing software to combine video clips, audios and pictures together and create cinema quality movies. After importing the media materials, you could drag the files to the timeline and add text, vidoe effects, PIP, Transition effects, Intro/Credit and background sound to create your own stylish movies in Widescreen (16:9) or Standard (4:3). Note: Run AimersoftVideoEditorPortable.exe to launch Aimersoft Video Editor Portable. 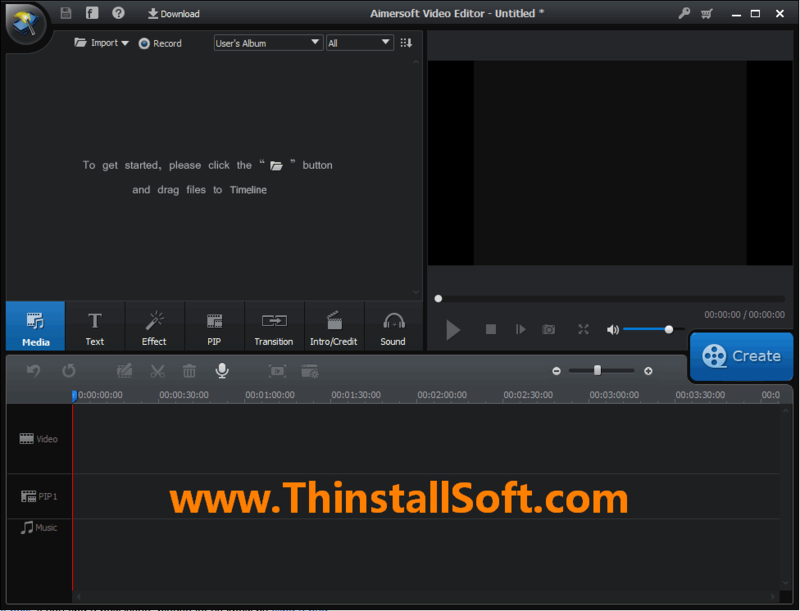 The current version is Aimersoft Video Editor 3.0.0.4 Free Giveaway Edition. For other movie makers, you could try Camtasia Studio, VideoLAN Movie Creator or Video Studio Express. To output your video, you have several opinions: export in popular formats, convert to portable devices, create and share on YouTube or save and burn to DVD. Personalize media files with basic features like trim, crop, rotate, etc. This entry was posted in Audio & Video and tagged Aimersoft, aimersoft video editor, movie creator, movie editor, movie maker, video cutter, video editor, video joiner, video maker, video merger, video splitter. Bookmark the permalink.